Select a plan, get a coach & become the best version of yourself. This is a system that assesses your; genes, what life has done to your genes (what genes are switched on and off) and then provides detailed lifestyle actions as to how you can get the best of your genes! 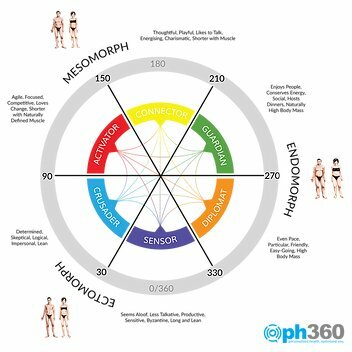 The HealthFit Ph360 system integrates 15 different sciences and thousands of scientific studies, into algorithms which are constantly updated. Combining, this great tech platform, that integrates an artificial intelligence component called 'deep learning' technology, with the best, qualified coaches in New Zealand - its time to change your life for the better - and take action. 4 x 20min health coaching sessions with a qualified HealthFit coach. A compulsory requirement for any of our HealthFit PH360 programmes, is that you work with one of our qualified coaches in some way, shape or form. This is essential to help you apply all the in-depth information that you'll be getting from us. Our HealthFit coaches are trained each week to structure, programme and prescribe this program you. We follow-up with regular (in person or online) 20 minute appointments to help you navigate your specific challenges. Have you ever wondered why certain diets, exercise regimes or lifestyle actions work for others, but not yourself despite the 'research' that suggests it should? Its not your fault! We are all genetically different, but further more, your life up until this point has influenced your genetic expression. Therefore, one size obviously won't fit all when it comes to exercise and nutrition. Furthermore, your entire environment is important - your circadian rhythms (sleep wake cycles), your workplace, geo-location, social environment and even cognitive and creative talents are all influential on your specific genes. You will find out what diet, what forms of exercise and movement, what cognitive tasks, what operating rhythms, what social environments, what cognitive tasks and even what physical locations are best for you, and your genes. This will help to switch on good genes, switch off bad genes and allow you to be the best version of yourself. NEED A top up of coaching sessions?